Scooper - Technology News: How can technology improve teen well-being? 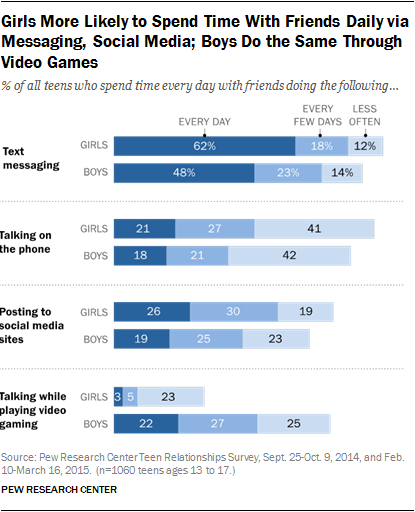 How can technology improve teen well-being? Harry Potter captured the imagination of young people worldwide as he showed daily that "it matters not what someone is born, but what they grow to be." (The Goblet of Fire) Perhaps, using the same mantra, we can turn around the public health disaster of poor teen mental health, though it will be technology, not Hogwarts, that delivers this education and assists their happiness and growth. There are over 1 billion young people aged 10-19 globally and at least one in five will have diagnosable mental health conditions in their lives, mostly rooted in experiences before the age of fourteen. Key contributors to this are adverse family, school and community circumstances as well as genetics, poverty, lack of jobs, poor nutrition, physical health conditions, conflict and trauma. Clearly, a systemic approach is needed to turnaround many of these factors. The widespread investment in poverty reduction, improving literacy and health programs have had significant benefits. However, too little emphasis has been placed on how we can equip young people to develop key life skills like emotional intelligence, self-esteem, creativity and critical problem solving. Recently, many of these have been recognised by the World Economic Forum as amongst the top ten capacities that employers will require by 2020. While we cannot insulate teens from adverse experience, we can elevate how they engage, learn and develop resilience. Technology offers that opportunity. Clearly not everyone has access to a smartphone but connectivity is an easy issue to solve. Ericsson's November 2015 Mobility Report estimated that 90 percent of the world's population aged six plus will have a mobile phone by 2021. A combined initiative by Gates, Google, Apple and Zuckerberg could ensure that every teenager in the world had a smartphone within a year including the means to use and charge them. Recently I tweeted #ConnectTeens to make that request! Teen access to smartphones could represent the biggest global public health intervention in history. Instead of traditional approaches focused on those who sink to the bottom through invisible despair, or rise to the top through highly visible disturbing behaviour, we can take a whole system approach. In that respect, I advocate strategies that do not compartmentalise teen experiences into domains such as school, home and community nor into facets of self such as learning capacities, physical health, social skills and mental health. In a focus group of teens that I ran recently, one boy commented, "sometimes I cannot get off my bed for hours, I do nothing, just think about my granddad dying and stuff at school and feel really distant from everyone and wonder what the point is." Another boy said, "I have come to find the best way to deal with it all, every messed up time, is just cry." As we can engage whole populations in enriching digital experiences, we can engage each teenager as a whole person and not a sum of parts. We can help them understand how unhappiness or stress in one aspect of life can play out in others, like a kid who goes to school and hits a teacher because they have a sick parent at home. This is where technology offers an unparalleled opportunity. Data patterns can help us learn more about our own behaviours and the behaviours of others we connect with. This has been evident to me in Natural Language Processing where, for example, we've discovered word combinations that, have strong correlation with high scores on a PHQ9 for depression but that would never appear as anything to do with depression in the course of a conversation. Data can help us read between our own and other's lines and lead us into processes for supporting change. In terms of programmes which could help stimulate learning and change amongst teenagers, I have become increasingly drawn to "nudge" strategies rather than to bespoke digital programs where the User Interface tends to be poor and drop out rates are significant. Officially, at 8.25 seconds, we have an attention span less than a goldfish yet we still continue to design programmes that require significant absorption of text when the average amount of words read on a page with 111 words or less is 49 percent. No surprise then that many adult designed programs to help teens with learning or improved physical and mental health can stumble at the gate. This week I was honoured to be a judge of a tech competition where several hundred school girls designed compelling digital strategies for getting more girls involved in tech. Nearly all of them used gaming, incentives and other implicit "nudge" in their approaches. Now let's turn to the "dark side." We know that tech has the power to enrich or be toxic. Think Dumbledore vs. Voldemort. At least one-third of teens have experienced cyber bullying and the cloak of virtual invisibility has been ripe for adoption by those who like to play out, rather than work out, challenges in their psyche. However, my last decade in tech for improving adult mental health has shown me that toxicity can be mitigated through design. In brief, here are just four of the design principles that I operate in order to build for safe and compelling engagement. Co-creating the experience. Our role as technologists is to act as an informed channel for those for whom we build. The development of the digital mental health service I founded for adults, Big White Wall, was driven by the express wishes of its community. Similarly, I am working with young people on the design of a new teen product I am bringing to market -- amo, a digital friend for life committed to your happiness and growth. Fostering healthy attachment. As recent studies have shown, too much digital time and not enough offline time with peers appears to correlate with higher levels of depression in later life. Finding a healthy balance between the two is vital and tech can help with that. For example, on Big White Wall a clinically facilitated virtual peer community can be helpful in rebuilding safe engagement as a prelude to improved offline relationships. Similarly, apps can scan for signs of dependency using algorithms and encourage other forms of non-digital interaction. Personalising to the individual. Data can help ensure that each person has a digital experience that has immediate utility to them. For example, with our new teen product, your 'amo' will respond to features and patterns that are innate to your individual way of learning and behavioural preferences. So my amo may use different mnemonics with my school revision than yours. Or it may use different strategies for helping me cope with stress in my relationship with my parents. One size does not fit all. Placing safety at the core. There is no excuse for anyone working in the digital age not to place the safety of their users right in the centre of their work. This is particularly the case where teens may share difficult and even illegal experiences. At minimum, all product design for teens needs to ensure the integrity of data, safety in engagement and clear methodologies for escalating and managing risk to self or others. In the digital age no young person need be "excluded" from learning or be suffering from anxiety and depression alone. The "magic wand" of tech exists to transform their experiences of self -- to enrich their learning, their physical and mental health, their social relationships and their place in the world. And mostly, like Harry and Hermione, they can engage in their own forms of magic to grow into "what they choose to be."